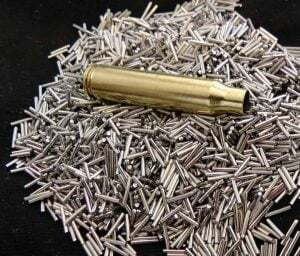 Home » Reloading » Why you should switch to stainless steel media for tumbling? Are you someone who has been thinking about switching to effective tumbling media? Can’t decide which one to go for? Searching a suitable tumbling process that will save your time, efforts and also give the best result at the same time? Then you are in the right place. Let’s get you introduced with exactly the thing you are looking for. This will surely make your reloading experience even better. 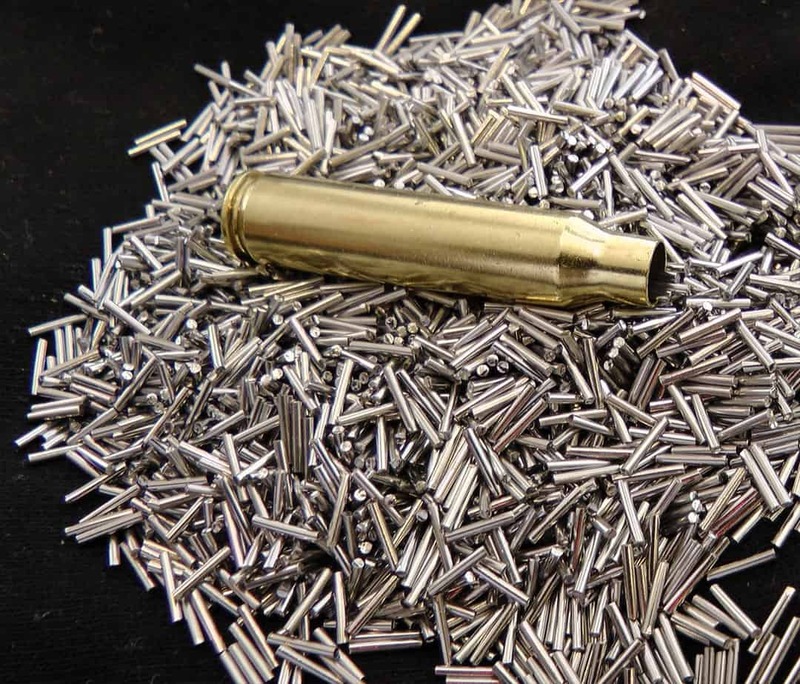 If you are going to reload, then you must get acquainted stainless steel media for tumbling sooner or later. This is hands down the best way to clean those rusty brass bullets and case in no time. This will save you some money & time. Just invest in a good stainless tumbler set. It comes with a drum with nuts, washer, gasket, and lid to contain the bullets, stainless media like pins, tumbler itself. First set the tumbler. Open the drum by opening the nut and washer. Put the stainless media into it. Then load your dirty brass bullets or cases. Add 1 tablespoon liquid dishwashing detergent and ½ tablespoon of LemiShine. Add a proper amount of warm water. Now close the drum carefully with the gasket and lid. Don’t overload the drum. The set the drum on the tumbler for an hour or more. But time may vary with different brass quality. Adjust the tumbler on a proper surface so it doesn’t move while working. Keep the drum on the tumbler until you get your desired result. This will make those dirty brass clean and shiny as new then you will get satisfaction just looking at them afterward. You can use a dehydrator to dry your brass without effort and in less time. The pin-like stainless media is so effective that it fits all the holes and make the brass shine and polished like gold. You can’t get this same result with anything else. Just talk about the satisfaction after cleaning them with stainless media. The design of the stainless media makes it possible to clean the brass inside out thoroughly and perfectly. This clean interior will ensure better powder burn in future. This also cleans the prime pockets thoroughly. Not to mention this process is time efficient. All you need to is load the brass in the drum and add the detergents. Just set the drum on the tumbler and do your other jobs for the next few hours. The tumbler will do the rest for you. This process it faster than any other regular brass cleaning process out there. This process is way less messy than other usual processes of cleaning the brass. We can simply put away the used water after one use and dry the media. That’s it. The drum doesn’t accumulate gunk, so you don’t have to invest much time in cleaning the tumbling system itself. Stainless still doesn’t damage the brass. So you can use them without any second thoughts. This won’t create splits or crack on the brass bullets or cases. Stainless media lasts forever. So you won’t have to buy them quite often. This will save you quite a lot of money. Isn’t it a great deal? Now when it comes to the price of the stainless media, it’s a bummer. Cause stainless steel is going to cases you more than any other method. But since they last a lifetime, so the high price can be quite justified. There are quite a few extra steps when it comes to the polishing part. This will consume some extra time and effort than the other regular process. But when you look at the finished result, you can hardly find the extra steps troublesome. So why not give this a try and see for yourself? You will need some other stuff to get that polished look. Buy a liquid dish soap and add some Lemi Shine in it. This Lemi Shine is the main ingredient behind that shiny look. Now here is the rough measurement of ingredient per drum. So just take note. Now that you have cleaned the brass, it’s time to dry them. There are several ways to dry the brass. You can simply put them to air dry in a well-ventilated place like a yard or so. But this will take quite a few hours to dry them out completely. You can also put them on a dry towel and wrap it with it. The towel will dry them in a couple of hours. These methods will cost you time but at the same time, they are free of cost. On the other hand, if you want to save yourself some time, get a dehydrator. This will dry your brass in the minimum time possible. When you are not using the tumbler, make time to take care of it. Take the metal shaft that has a belt on it to prevent further stretching of the belt. Lube the shaft and roller with synthetic motor oil to expand the lifespan. Use oil when the bushings feel dry. Dry the drum completely after each use. Wash the stainless media as well. Now you know all the advantages of using stainless media for tumbling. So why hesitate to switch to stainless media? Just get yourself the stainless media as early as possible. So you can enjoy the luxury of the finely polished brass without much efforts in less time. This will make your reloading journey even more enjoyable.